Progress through the stages of the systematic review. RCT indicates randomized controlled trial. Background Lack of adherence to blood pressure–lowering medication is a major reason for poor control of hypertension worldwide. The objective of this study was to determine the effectiveness of interventions to increase adherence to blood pressure–lowering medication. Methods We performed a systematic review of randomized controlled trials and searched for all-language publications in the Cochrane Controlled Trials Register, MEDLINE, EMBASE, and CINAHL in April 2002. Results We included 38 studies testing 58 different interventions and containing data on 15 519 patients. The studies were conducted in 9 countries between 1975 and 2000. The duration of follow-up ranged from 2 to 60 months. Because of heterogeneity between studies in terms of interventions and the methods used to measure adherence, we did not pool the results. Simplifying dosing regimens increased adherence in 7 of 9 studies, with a relative increase in adherence of 8% to 19.6%. Motivational strategies were partly successful in 10 of 24 studies with generally small increases in adherence up to a maximum of 23%. Complex interventions comparing more than 1 technique increased adherence in 8 of 18 studies, ranging from 5% to a maximum of 41%. Patient education alone seemed largely unsuccessful. Conclusions Reducing the number of daily doses appears to be effective in increasing adherence to blood pressure–lowering medication and should be tried as a first-line strategy, although there is so far less evidence of an effect on blood pressure reduction. Some motivational strategies and complex interventions appear promising, but we need more evidence on their effect through carefully designed randomized controlled trials. Because more trials in this area have emerged recently,14-16 we carried out a new systematic review of the literature to establish which types of interventions to increase adherence are most effective, using a more comprehensive search strategy and including foreign-language publications. We also aimed to investigate and report the effect of individual interventions used in factorial trials. A version of this review will be available from the Cochrane Hypertension Group for inclusion in the Cochrane Library. We identified original RCTs by an all-language search of articles (any year) in the Cochrane Controlled Trials Register, MEDLINE, EMBASE, and CINAHL (full search strategy available from the authors on request) in February 2002, with the use of an approach advocated by the Cochrane Heart Group. We screened the references of all retrieved articles as well as individual files to identify additional publications. We also contacted study authors and experts in the field about other relevant trials or unpublished material. Two of us (K.S. and T.F.) assessed lists of citations and abstracts independently. We were not masked with regard to authors or journal. We selected studies for review if (1) the population of interest was composed of adult patients with essential hypertension in a primary care, outpatient, or community setting; (2) the interventions aimed to increase adherence to blood pressure–lowering medication (eg, education, rewards, improved administration, simplification of drug regimens, use of computers, use of allied health professionals, or self-recording of blood pressure); (3) a reported outcome was adherence to medication; and (4) the type of evidence was limited to RCTs where patient care in the intervention group(s) was compared with either no intervention or usual care. We excluded studies that tested interventions that were not designed to increase adherence or where participants had secondary hypertension. Each reviewer indicated whether a citation was potentially relevant (ie, appearing to meet the inclusion criteria), was clearly not relevant, or gave insufficient information to make a judgment. To be included, a study had to meet all of our inclusion criteria. We resolved differences by discussion and obtained reprints of all potentially relevant citations. Two reviewers (K.S. and T.F.) assessed the quality of the studies independently and in duplicate. We handled disagreements by consensus and requested additional information about study design from the authors if necessary. We extracted data on potential sources of bias, including the method of patient randomization, blinding of the outcome assessor, and differential losses to follow-up, and collated this information in Table 2. Because of heterogeneity between studies in terms of interventions and the various methods that were used to measure adherence, we believed that pooling of the results was inappropriate. We grouped and reported the individual arms of factorial trials separately in the respective groups. We screened 1929 citations and included 38 studies that met all of our predefined criteria, involving a total of 15 519 patients and testing 58 different interventions14-50 (Figure 1). Table 1 summarizes the characteristics of included RCTs, which were conducted between 1975 and 2000. We chose to report the interventions tested in factorial trials separately and treated these like individual studies. The majority of trials were performed in the United States (n = 20) and Canada (n = 8), with the remainder located in France (n = 3), the United Kingdom (n = 2), Australia (n = 1), Belgium (n = 1), South Africa (n = 1), Spain (n = 1), and Sweden (n = 1). Study participants fell into a number of different categories that included newly diagnosed patients, patients with established hypertension taking medication, patients with controlled or uncontrolled hypertension, patients adherent or nonadherent to medication, and infrequent attendees at clinic. 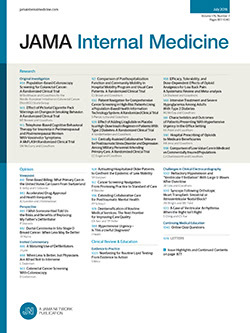 Because there are no generally accepted categories, we grouped studies arbitrarily into the following 4 pragmatic categories: (1) simplification of dosing regimens; (2) patient education; (3) patient motivation, support, and reminders; and (4) complex health and organizational interventions, including interventions in combination. Adherence was measured in different ways, including self-report, direct questioning, pill counts, and the Medication Event Monitoring System (AARDEX Ltd, Zug, Switzerland), and various criteria for adherence were used in the different studies. We treated the different arms of studies by means of a factorial design as separate studies and present the results of these accordingly. All studies examined both men and women in varying proportions, and the duration of follow-up ranged from 2 to 60 months. The methodologic quality of included studies was generally low (Table 2). The randomization process was reported and provided adequate concealment of allocation in only 10 (26%) of the 38 studies.16,19,21,22,27,38,39,41,48,50 The outcome assessors were blind to treatment allocation in 12 studies (32%).3,5,19,22,24,27,32,39-41,46,48 Losses to follow-up were well documented in 33 studies (87%). Only 8 trials (21%) reported a power calculation,21,25,32,34,39,41,44,45 and most of the remaining trials appeared too small to detect clinically important differences. None of the included studies fulfilled all of the quality criteria. Individual RCTs reported results on adherence in many different ways, making a pooled analysis inappropriate (Table 1). Nineteen studies reported an improvement in adherence alone, 7 found improvement in adherence combined with a reduction in blood pressure, and in 7 studies a reduction in blood pressure occurred without an increase in adherence. Fifteen (39%) of the included studies did not report a blood pressure outcome, and none of the studies examined major clinical end points. In the following section, the total number of RCTs (ie, interventions) is 58 rather than 38, because some factorial RCTs tested interventions in different categories, which therefore counted more than once. Patient education seemed largely unsuccessful. Only a single small trial improved adherence (93% vs 69%; P<.002), with no reported effect on blood pressure.29 This study used group education in groups of 15 people over 90 minutes and additional postal information leaflets at 1, 3, and 5 months. Complex interventions increased adherence in 8 of 18 study interventions,14,35,40,47,49 ranging from 5% to a maximum of 41%. Work-site care through specially trained nurses improved adherence (67% vs 49%; P<.005) and led to a net reduction in blood pressure of 4 mm Hg between intervention and control groups (P<.001).40 A combination of home visits, education, and special dosing devices improved adherence in a small trial of 16 patients (92% vs 71%; P<.001).35 A strategy involving an educational leaflet, a telephone reminder, a mailed reminder, and an educational newsletter was successful in both previously treated hypertensive patients ("medication possession ratio," 82% vs 48%; P<.05) and those who were newly diagnosed (93% vs 52%; P<.05).47 Two fairly recent trials reported weak evidence of an effect of a patient-centered pharmaceutical care model (compliance score, 0.23 vs 0.61; P<.05)49 and a combination of structured brief questioning protocol with advice, information, and referral to the family practitioner (62% adherent vs 50%; P<.05).14 In this study, blood pressure was also better controlled in the intervention group (35.7% became controlled vs 17.1%; P<.05). In this systematic review, we found that simplification of dosing regimens increased adherence in 7 of 9 studies, with improvement in adherence ranging from 8% to 19.6%. Adherence in these studies was mainly measured with electronic monitors, and these results confirm findings from past research. There was mixed evidence of the effect of motivational and more complex interventions. Education alone appeared largely unsuccessful. A combined effect on adherence and blood pressure was observed in only 7 (12%) of 58 study interventions. This review differs from previously published reviews in that we used a more comprehensive search strategy and different methodology. Compared with the latest reviews on adherence-enhancing strategies,11,12 we found and included considerably more studies (9 and 32 more studies, respectively). The review by Morrison et al11 extracted categorical data in preference to continuous data and ignored evidence from trials where data could not be converted. This may have been particularly relevant for the results in the group with changes in medication dosing, where we come to the opposite conclusion. This review is also different in that we have reported the results from individual arms of factorial trials separately. We agree with the review by McDonald et al12 that, for complex interventions, it is often difficult to estimate the independent effects of individual interventions. It also remains difficult to disentangle specific adherence effects as opposed to nonspecific effects of increased attention. Our findings confirm that even the most effective interventions do not appear to lead to large improvements in adherence and treatment outcomes. An earlier review of research on adherence reported benefits of educational interventions in improving adherence.9 However, we were unable to confirm this finding, perhaps because we included only RCTs in our review. Comparing the RCTs included in this review was difficult. Many RCTs showed marked heterogeneity in terms of participants, interventions, and outcomes. Study authors also measured and reported adherence inconsistently. Individual RCTs demonstrated variable and often poor methodologic quality, particularly with regard to randomization, blinding of outcome assessment, and losses to follow-up, while the sample sizes of many trials were too small to detect clinically relevant differences. Rather surprisingly, 15 (39%) of the included 38 studies did not report a blood pressure outcome, and none reported major clinical end points. There are also some difficulties in interpreting the results of this systematic review and meta-analysis. Adherence was measured (eg, self-report, pill counts, direct questioning, electronic monitoring, and drug blood levels) and calculated in different ways (eg, using arbitrary cutoff points, such as 80%, to define adherence), and in addition was usually assessed unblinded to allocation status, which made the comparison of RCTs difficult. Levels of adherence in the control groups of the trials studied ranged from 12% to 94%, which is indicative of the heterogeneity in both criteria for defining adherence and the participants studied. With no agreed-on criteria for how adherence should be measured and defined, it is not surprising that for most interventions the impact on adherence and blood pressure appears to be variable. Because of the different definitions for adherence that have been adopted in individual RCTs, it has not been possible to examine the relationship between adherence to medication and subsequent blood pressure control. Our categorization and grouping of trials was arbitrary, and the group allocation of some trials might be debatable. Our findings suggest that introducing simpler dosing regimens can be effective in improving adherence, but the effect on subsequent blood pressure reduction has not been established and may not be clinically important. The results of various motivational and more complex interventions are promising, although there is insufficient evidence to suggest a single approach. In many countries, the role of allied health professionals such as nurses or physician assistants is expanding, which may lead to new management opportunities for addressing adherence-related problems in patients with high blood pressure. However, we suggest that innovative approaches should be introduced in the context of further RCTs. It is important that physicians be aware of the various reasons for poor adherence and aim to simplify dosing regimens as far as possible. The results of this review highlight a number of problem areas in adherence-related research. Many studies used unreliable methods of measuring adherence such as self-report and pill counts. It appears that electronic monitoring provides more objective and reliable results and, in addition, produces data on medication-taking patterns. Although a large number of studies have been conducted in this area, larger trials of higher quality are needed that use reliable methods of measuring adherence and that also investigate the relationship between adherence and blood pressure reduction. We believe this is particularly important in the context of an increasing elderly population of people who often take multiple medications. Hypertensive patients may fail to take their medication because of the long duration of therapy, the symptomless nature of the condition, side effects of medication, complicated drug regimens, lack of understanding about hypertension management, lack of motivation, and the challenge to individual patients' health beliefs.10,51 It would seem logical that future studies should try to adopt a tailored approach aimed at individual patients and addressing the above-mentioned barriers to adherence. Using combinations of strategies that include simpler dosage regimens, patient motivation, and involvement of other health professionals in a patient-centered approach should be further investigated. In addition, patients' views should be taken into account when interventions are piloted, and the interventions themselves should be based on shared decision making and a true partnership between patient and practitioner.52-55 Finally, it is of paramount importance that every study that evaluates an intervention to increase adherence to blood pressure–lowering medication should also measure blood pressure as a second outcome to help establish the often unclear relationship between adherence and blood pressure control. We conclude that simplification of dosing regimens appears to be the most promising intervention to increase adherence to blood pressure–lowering medication. The evidence of the effect of motivational and more complex interventions is mixed and inconclusive. The results of this review should be interpreted with caution because of the poor methodologic quality and heterogeneity of many trials included in this review. Our findings emphasize the need for further RCTs with sufficient power and rigorous methodology. Corresponding author: Knut Schroeder, MD, MSc, MRCGP, MRCP, Division of Primary Health Care, University of Bristol, Cotham House, Cotham Hill, Bristol BS6 6JL, England (e-mail: k.schroeder@bristol.ac.uk). Accepted for publication January 13, 2003. The UK National Health Service Executive South and West Research and Development Fund, Bristol, England, funded the review. The University of Bristol, Bristol, is the lead center of the UK Medical Research Council Health Services Research Collaboration. We thank Margaret Burke (Trial Search Coordinator, Cochrane Heart Group) for her kind assistance with the search strategy and for conducting the literature searches. We thank James Burris, MD, Emilio Marquez Contreras, MD, Joyce Cramer, Erik DeKlerk, MD, Nathalie Genès, MD, Briegeen Girvin, PhD, David Hawkins, PharmD, Frans Leenen, MD, Alexander Logan, MD, Nancy Houston-Miller, RN, C. A. Nugent, Manel Pladeval, MD, Joseph Saseen, MD, Duncan Saunders, PhD, David Sclar, PhD, and John Urquhart, MD, for responding to our request for further information.